John A. Martin & Associates, Inc. Trailer Martin Memorialized at The Palm - John A. Martin & Associates, Inc. When Pio Bozzi and John Ganzi opened The Palm Restaurant in 1926 in New York they had no money to decorate. Luckily, their location on Manhattan’s Second Avenue was in close proximity to the headquarters of King Features Syndicate and attracted a large clientele of cartoonists. In exchange for their meals, artists would often draw their own creations on the walls of The Palm. This unconventional decorating tradition has continued in locations across the country, including Downtown LA, where caricatures of regulars and celebrities are added regularly. JAMA’s President, John A. “Trailer” Martin, Jr., has officially been recognized as part of The Palm’s legacy. 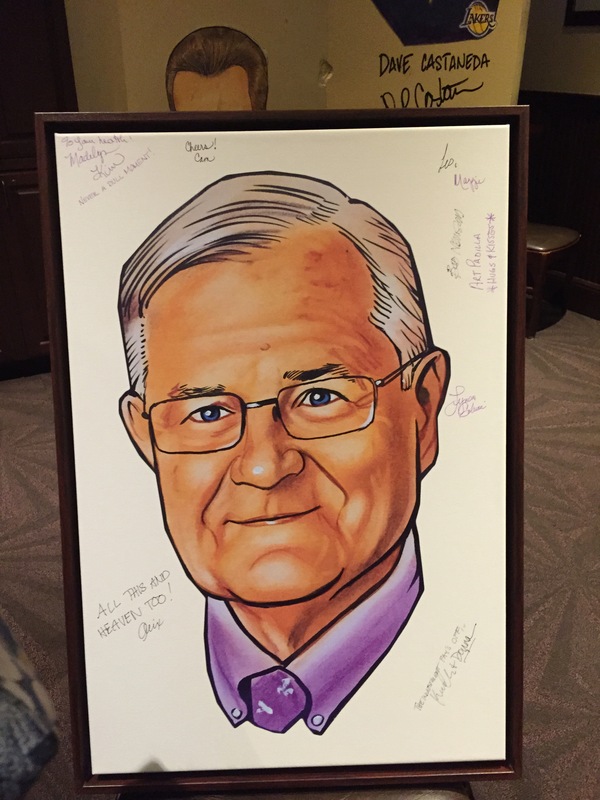 A private event held at the end of September unveiled his caricature with a celebration among family and friends. Trailer has long been a legend among the John A. Martin & Associates family. We’re glad he’s now being recognized as one in our own neighborhood too!